George Richards Minot was born on December 2, 1885 in Boston Massachusetts. Minot came from a Boston medical family (his great-grandfather, James Jackson, was co-founder of Massachusetts General Hospital) and after private schooling and graduating from Harvard College in 1908 he entered Harvard Medical School, graduating in 1912. In medical school he became interested in hematology and the diseases of the blood, although his first publication was on butterflies in 1902. As an intern he studied the effect of a patient's diet on their blood cells. In 1914 he took a job as an assistant at Johns Hopkins University in Baltimore, Maryland. In 1915 he returned to Boston as an assistant at Massachusetts General Hospital. 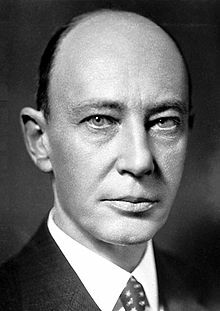 In 1922 he became physician-in-chief of Collis P. Huntington Memorial Hospital and in 1928 he became a professor of medicine at Harvard University. Minot published papers on many subjects, including vitamin B deficiency, blood coagulation, arthritis, leukemia, industrial blood poisoning, among others. In 1914 he became interested in the work of George Whipple. Whipple was studying the effect of diet on anemic dogs and discovered that feeding dogs liver reversed the anemia. Minot, working with William Murphy of Johns Hopkins University, discovered that a diet of liver helped patients with pernicious anemia, a form of anemia characterized by improper red blood cell development. Later, working with William Cohn, he showed which fractions of the liver helped patients with pernicious anemia. Today it is known that pernicious anemia is caused by a deficit of vitamin B-12 or cobalamine. Vitamin B-12 is the only one of the B vitamins that contains an atom of the metallic element cobalt and it is involved in the DNA synthesis of developing red blood cells. For their discovery Whipple, Murphy and Minot were awarded the 1934 Nobel Prize in Medicine. Minot died on February 15, 1950.